The propagandists over at the Wall Street Journal editorial page (okay, who are we kidding, it's Bret Stephens) have posted a silly article fear-mongering about the Iranian nuclear reactor at Bushehr. The entire thing is nonsense, presenting unrealistic scenarios with no basis in fact or history. He makes claims about Iranian plutonium which have little in common with reality. He frets that "Iran is increasing the number of routes it can take to race toward a bomb" and states Iran currently has a stockpile of enriched uranium which, "with some additional enrichment" of course, would be enough "for probably six bombs." He also determines that Iran could somehow reprocess fuel rods "into weapons-grade plutonium," which could eventually be manufactured into "as many as 24 Nagasaki-type bombs." Because, sure, why the hell not? 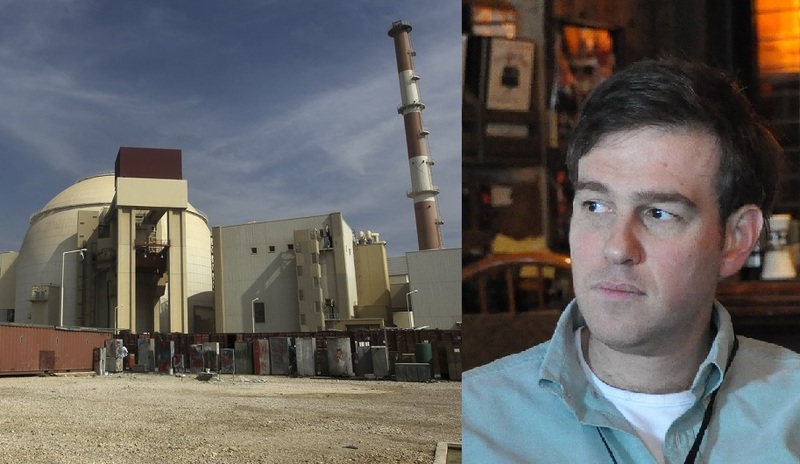 Despite the fact that, as the New York Times reports, "the plant [at Bushehr] itself is not controversial" and fully under IAEA surveillance and safeguards, Stephens is trying to make even the most mundane aspects of Iran's nuclear program appear suspect. He obviously omits the U.S. government's own perspective on Bushehr as articulated in the past by State Department spokesman Darby Holladay, who told the press once Bushehr became operational in 2010, "We recognize that the Bushehr reactor is designed to provide civilian nuclear power and do not view it as a proliferation risk." These views were echoed by senior State Department mouthpiece P.J. Crowley at the time. "Bushehr is designed to provide electricity to Iran. It is not viewed as a proliferation risk," he told NPR. Ian Anthony, director of the arms control and non-proliferation program at the Stockholm International Peace Research Institute (SIPRI) concurred with such an assessment. Not even Israeli officials or long-time alarmists could use Bushehr as a foil. "Our problem is with the other facilities that they have, where they enrich uranium," Uzi Landau, Israel's Minister of National Infrastructure, explained. Mark Fitzpatrick of the routinely alarmist International Institute for Strategic Studies (IISS) has admitted, "Bushehr is not a proliferation risk as long as it is run to produce power for electricity generation," adding that "the IAEA would know if Iran tried to divert the spent fuel, before it is cooled sufficiently to send it back to Russia." Another non-proliferation analyst, Mark Hibbs of the Carnegie Endowment for International Peace, has granted that, while, "theoretically, any power reactor is a 'proliferation threat' in the sense that its spent fuel can be diverted from IAEA safeguards, reprocessed, and the plutonium used to make bombs," over the course of the last half-century, "no proliferator has ever diverted power reactor fuel from IAEA safeguards to make bombs in a hurry." Even more recently, IISS's Fitzpatrick has reaffirmed that any removal of fuel from the Bushehr reactor should not be cause for much alarm (contrary to what Stephens would have us believe), suggesting that such a move - especially in full view and under strict IAEA safeguards - most likely "signifies technical trouble." Despite his own record of hysteria over Iran's nuclear program, former IAEA inspector Olli Heinonen said the spent fuel from Bushehr is "not really" a proliferation risk. Stephens' record on Iran warmongering is legion; he has exploited every tired talking point there is to promote a Likudnik agenda of devastating economic warfare and collective punishment, the feasibility and possible necessity of an Israeli military strike on Iran, and ultimately often advocates for an aggressive policy of regime change. He reminds his readers constantly of the Israeli assaults on Iraqi and Syrian facilities, always forgetting to explain that these actions were illegal, counter-productive and condemned by nearly every government on Planet Earth. He has written that, because of Iran, Israel is in "frightful peril" and reacted to rumors that "the Obama administration may be reconsidering its military options toward Iran," by writing, "Let's hope so." And he's been playing the alarmist game for a long time. Back on the April 15, 2006 edition of Fox News' "The Journal Editorial Report," Stephens declared, "[O]ur estimates that the Iranians are ten years or five years away from making a bomb were wildly exaggerated. They're going to be able to enrich uranium in the next year or two. So, it adds urgency to the crisis." These columns have been warning of the proliferation risk posed by Bushehr since May 2002. As always with Iran's nuclear ambitions, the worst suspicions come true. Uh huh, gotcha, Bret. Tell that to the last three decades of allegations and speculation about Iran's mad dash for a bomb. Any day now, though, right? Originally posted as an update to "The Phantom Menace: Fantasies, Falsehoods, and Fear-Mongering about Iran's Nuclear Program." To read the full compendium of erroneous and alarmist predictions about non-existent Iranian nukes, go here.